The All Star Strawberry Plant bears strawberry fruit in late midseason and produces berries as large as plums! A frost resistant strawberry plant. 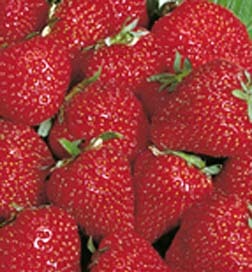 All Star Strawberries have excellent flavor with fruit that’s big, firm, sweet, extra juicy and red. No wonder this is considered a super star variety! This strawberry is a June bearing variety. This is for a total of 10 plants.